With Zendesk export support you can now use ScreenSteps to quickly generate forum posts that speak through pictures. 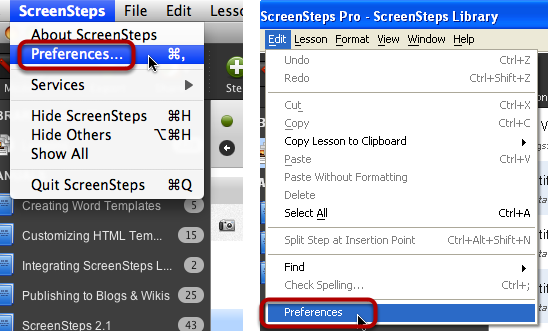 ScreenSteps will upload all of the images and lesson text for you and your forum post will be ready to go. 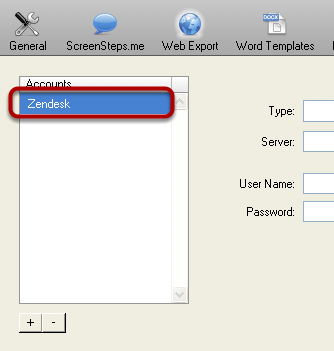 Here are some instructions for configuring a web export account that will upload to Zendesk. You must have ScreenSteps 2.8.7 or higher to post to Zendesk. In the Web Export preference pane use the + button to create a new account. After the new account is created give it a descriptive name such as "Zendesk". From the Type drop-down menu select Zendesk. 1) For the server you can your Zendesk subdomain (e.g. http://mycompany.zendesk.com) or a host mapped url (e.g. http://support.mycompany.com). 2) For the User Name and Password fields enter the credentials of the user you want the forum posts to be authored by. After you have finished entering your credentials, click the Test Connection button. This will confirm that you have entered valid information. If Test Connection fails and you know you have entered a valid username and password then you should confirm that you have enabled API Password Access in your Zendesk settngs. As of this writing you will find the API access setting under Settings > Channels > API. You have now finished configuring the Web Export account and you can close the Preferences window. I do not see ZenDesk as a drop down option in the Type field. I am using the latest build (as a trial) could this having something to do with it? I've followed these steps but when I test the connection I get "Error: Forbidden". What permissions do I need to be granted in Zendesk? @Phil I'm not sure if an agent user will work or not. Can you try with an administrator user and see if it works? I'm using v. 2.9.7 and I'm getting an "Error: Forbidden" and "Error: Couldn't authenticate you" errors. I'm trying to connect as an admin user and I've confirmed the Zendesk URL, account username, and account password are all correct. @Dan - It sounds like a permissions problem. Are you user accounts managed by Zendesk or a 3rd party service (single sign-on)? 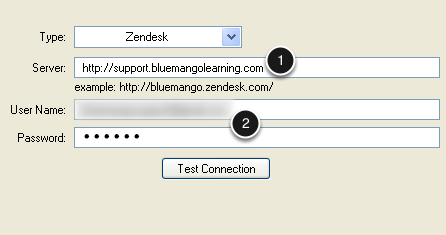 If Zendesk then I would recommend emailing support@bluemangolearning.com and letting us know what the Zendesk URL you are using is. We can troubleshoot from there. tried testing using the latest version of Screensteps. The test is successful but after uploading it, the URL it gives me doesn't work. I think because the new zendesk uses the Help Center and you are still using the web portal version of Zendesk? @Richie - ScreenSteps 2 does not support the Help Center. The Help Center API just recently (a few days ago) entered beta testing stage. Since ScreenSteps 2 is no longer being updated support for the Help Center will not be added. When I try to post a lesson to Zendesk I'll get the message: Error: Bad Request. We have configured our Zendesk with single sign on using JSON webtoken. How can we get this thing working? @Nick - Are you using the new Help Center in Zendesk? If so then ScreenSteps 2 will not work as ScreenSteps 2 doesn't have support for Help Center, only the legacy KB. ScreenSteps 3 (the subscription service) does support Help Center. No, helpcenter is still in setup mode, so not activated yet. @Nick - Another thing to check is that the Zendesk URL you entered in ScreenSteps 2 starts with "https://" and not "http://". 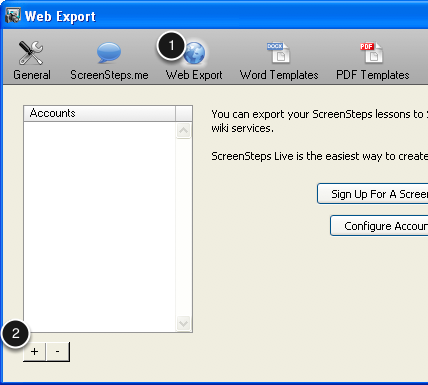 If the URL does start with "https://" then email support@screensteps.com and we can troubleshoot further. @Nick - Also, if you are using single sign-on with Zendesk you can't use your single sign-on credentials in ScreenSteps since ScreenSteps uses the Zendesk API and single sign-on doesn't work with the API. You will have to use a Zendesk username and password. I've switched to https and that solved the problem. Thanks.